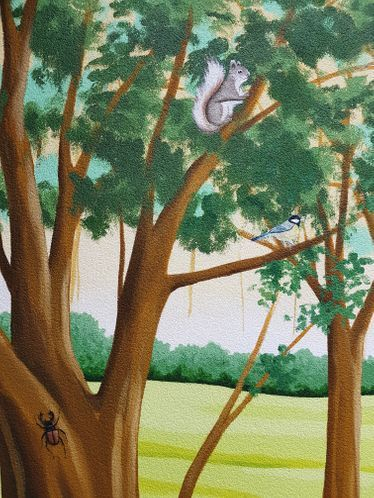 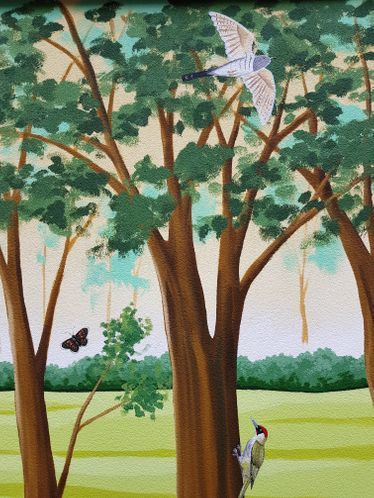 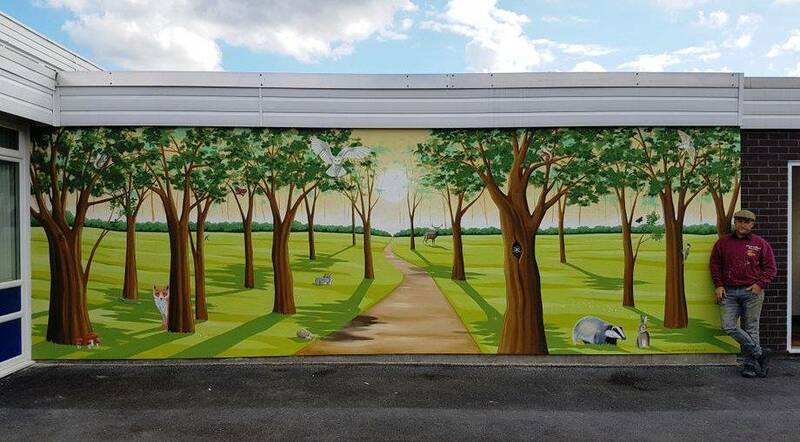 This woodland mural was painted for St Richards Primary School in Manchester on an exterior wall in their playground. 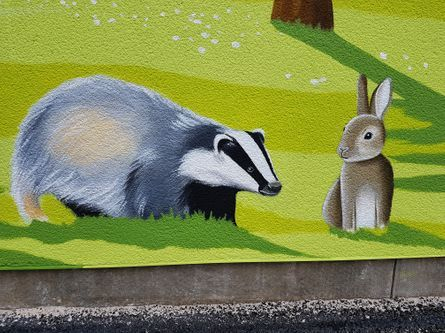 We added in lots of animals that the pupils voted they would like included in the mural. 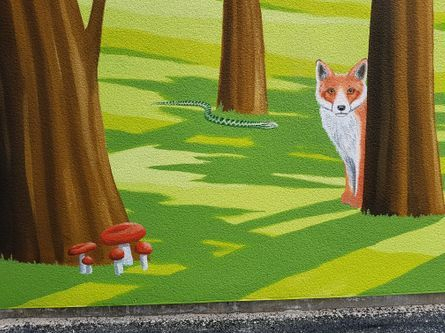 This took one week to paint.